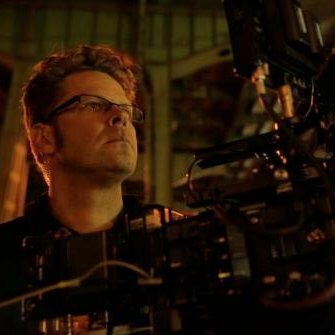 John Behrens is a 42-year-old self-taught director of photography who is much too busy to blow time on boredom. He’s a sucker for a good story, fiction or fact, and he loves capturing it on film. He’s shot movies, feature and television documentaries, television programs, commercials, concert films, and he lives to shoot more. Working for everyone, from Metallica to Tesla Motors to Disney Pictures, and almost every television or cable network, Behrens feels his dyslexia makes constant challenge fun. He loves when directors ask him to figure out how to shoot what no one ever has before. And he lives to show the world things no one has ever seen. Little John Behrens looked down his first lens at age nine. It was love at first sight, he says; he simply had no choice in the matter. It was his stepdad’s wind-up Bell and Howell. The camera could produce only flickering two-minute herky-jerky movies, but they were a world apart from school. On the positive side, fourth grade brought a terrific drama program, complete with a big blue light board with huge levers nobody else wanted to run. On the negative, fifth grade brought a teacher so bad, and a classroom in such chaos, that John realized he could walk out unnoticed—so he did. He’d hang out with the lunch lady most days instead. In fact, overall, Behrens found the outside world more welcoming than school would ever be—it’s where he found his breaks. While still in high school, he went out to find a job one day, stumbled upon a film set, and forgot about the job. Instead he made friends with the gaffer (that’s the person who rigs up the lighting). That friendship would translate into jobs later—the kind of jobs with on-the-job training, which is how many people actually learn the technical end of the filmmaking business. That gaffer turned out to be dyslexic, too. And he and Behrens remain friends to this day. It was a girlfriend who, by happenstance, had a contact who arranged Behrens’s entry into his house of heroes. In the San Francisco Bay Area, there is one place where the Who’s Who of special-effects filmmaking gather to share their “monthlies” for feedback and bragging rights. It’s called Industrial Light and Magic. It was founded by Star Wars’s George Lucas. Not only did John get in to watch the monthlies, he also got educational advice once inside. 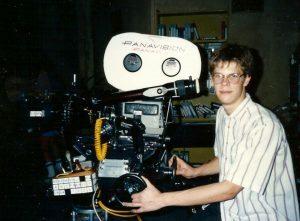 His grades kept him out of the recommended UCLA film school, but he got into the University of California, San Francisco, where he was promptly disappointed. At UCSF, it would be two years into the film program before they planned to let him even touch a camera. He’d already directed and shot his own movie, and was ready for more. His gaffer friend was calling him all the time with gigs on real film sets. Lecture halls and reading were definitely not his learning method of choice. “Reading? Imagine driving down the freeway towing a trailer with no wheels. I can get some speed up, but it’s the energy it takes to do that that makes it not the most pleasant of things.” Behrens flunked out in his second year. He was too busy working to go to class. He never looked back, and it has never stood in the way of his success. Behrens certainly has. And the only degrees that have turned out to matter in his life are those of creativity, artistry, insight, and nerve. It may be that his films tell how his story is turning out better than his words would. His work can be sampled at www.JohnBehrens.com. Architect Richard Rogers is perhaps best known for designing iconic structures like the Pompidou Centre in Paris, the Millennium Dome and the Maggie’s Centre in London and Terminal 4 Barajas Airport, Madrid.